If you are looking for Native American crafts, activities, and games for children, you hit the jackpot! Being that Native Americans have such an amazing culture, it is one of my favorite units to teach. I’ve collected ideas I found not only useful, but engaging for kids of all ages. 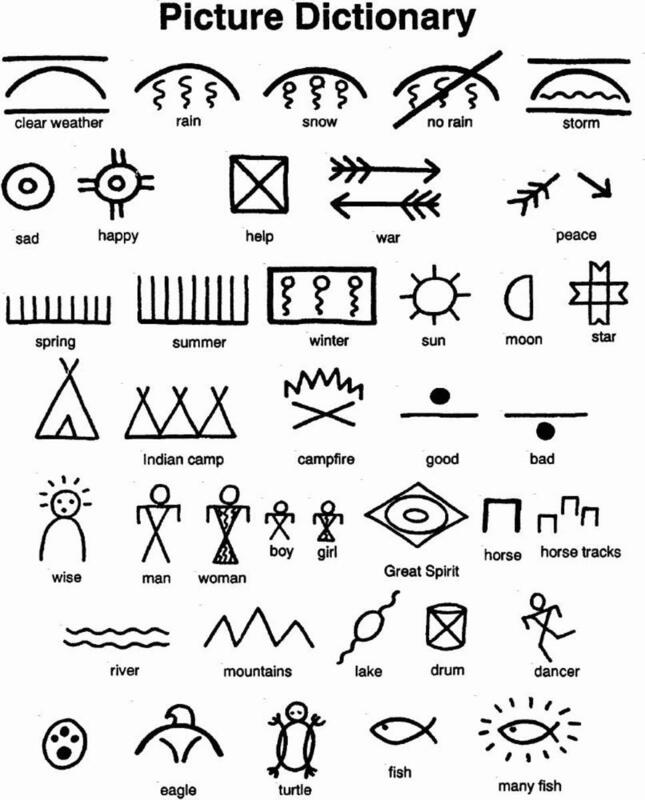 I hope you find something exciting to use with your child or class during a Native American study. Scroll down for all my favorite Native American tunes, games, activities, crafts and projects! Play Native American music during the study unit. This first one is my favorite for many American History studies. It is called Tunes That Teach American History. The booklet/CD has lyrics and they are all fun and upbeat. It gets me through a whole year of 4th grade Social Studies in South Carolina! The events covered in this booklet/cd is Exploration, Native Americans, American Revolution, Bill of Rights, Lewis and Clark, Westward Expansion, Civil War, Underground Railroad, The Age of Invention, and Immigration. Play it to introduce each unit by displaying the lyrics and playing the cd. Then each day as you are transitioning into social studies, play it. The students will know that social studies is getting ready to start. Use a picture dictionary of symbols to create a story. Find a picture dictionary HERE. Students can write on brown paper grocery bags and crinkle them up to make them look old. Pick a Native American Region. Research the tribes, homes, transportation, food, weapons, tools, crafts, customs and beliefs. Display as a booklet, Powerpoint, mobile, poster, or another form for presentation. Dream catchers can be made without this book, but I like to read Grandmother’s Dreamcatcher. before I start the craft to teach the background information about dream catchers. Dream catchers are great to hang above your bed! They catch all the bad dreams and they dissapte in the morning dew. Leave a hole in the middle so the good dreams to sift through the dream catcher! Supplies: plastic plate, yarn, craft beads, craft feathers. 1. Cut out the center of the plate. 2. Hold punch the rim about 1/2 inch apart. 3. Cut a piece of yarn about 5-6 ft long. 4. Tie one end of the yarn to any hole on the rim. 5. Weave the yarn up, over, and all around the paper plate through different holes forming a pattern. Leave a hole in the middle for the dream to sift through! While weaving, place beads on the yarn. 6. Tie a knot at the end. 7. Cut 3 more pieces of yarn and tie them to the bottom of the dream catcher. 8. Place some beads on the yarn and tie a feather at the end of each piece of yarn. 9. Cut another piece of yarn the length you need to hang it on the wall and tie it at the top of your dream catcher. Make totem poles when studying the Northwest Coast region. Use empty papertowel centers and glue them to a base (cardstock). Explain to your students to carefully select animals that have some meaning to you or related to your family or family member. Students should write down those animals and the reasons for the choices for them. To the totem pole, add a head, wings, and 3 animal symbols. This craft makes a great writing piece explaining what is on your totem pole and why. 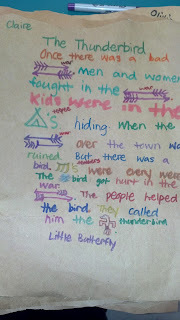 In the writing, students can pretend they are raising their totem pole at a traditional potlatch. If you come across materials, let the students get creative and make a large totem pole. I was fortunate to come across large rolls from the laminating machine. We taped them together and I supplied construction paper, markers and glue. They did the rest. I like to share information from Navajocodetalkers.org about rain dances when studying the Southwest, since they had many droughts in that region. Then as a class you can perform a rain similation. Students will hear the sounds of a rain storm. 1. 1st person begins by rubbing thumb and two fingers back and forth. This is creating a “mist” sound. 3. When the mist returns to the first person, he/she changes to “drizzle” by rubbing palms back and forth. This is passed around the circle the same way. 4. When the “drizzle” comes back to the first person, they change to “rain” by patting thighs. 5. When the “rain” comes back to the first person, they change to “storm” by stomping feet. 6. After that round, it goes back down the list in reverse order until the storm ends. Here are a few games found HERE. Materials Needed: One pebble needed and something (stick) to mark a goal approximately 50 yards from the first player (leader) on each team. Form two teams and appoint a leader for each one. Line up facing each other with a few feet apart from one another. The leader walks behind his teammates and secretly places the pebble in one of their hands. The leader from the opposing team has to guess who has the pebble. If he guesses correct, he takes the pebble to do the same on his side. If he guesses wrong, the teammate with the pebble in his hand, goes to the far end of the line, runs, and jumps over a raised leg of the teammate now at the beginning of the line. Now his team starts from that spot and continues to get to hide the pebble until the other team guesses correctly. This continues until a team reaches the goal. Players line up at the starting line. At the starting signal, players run imitating a bear walking by placing feet and hands on the ground and walking like a bear. A prize can be given for the winner and/or the best imitation of a bear. Materials Needed: A blindfold (ripped up shirt), Choose one of the following and supply 3 of them to represent firewood. (real sticks, craft sticks with yarn wrapped around it, or paint stir sticks). The “chief” will place the wood in front of the “fire keeper” who is blindfolded, sitting on knees, with hands on lap. The rest of the players are the “wood gatherers”. The chief points to one of the wood gatherers and says, “Wood gatherers, we need wood!” This person’s object is to steal his wood without being caught by the fire keeper. They receive one point per piece of wood collected. Wood gatherers may not rush the fire keeper, it must be done with stealth. The fire keeper may one remove his hands from his lap to attempt to tag the wood gatherer. Fun fun fun!!!!!!!!!!!!!!!!!! If interested in having this NO PREP unit with all the necessary printables, click below. It is currently a best seller on Teachers Pay Teachers! A student version is also included for tablets and computers!